Likewise, energy waste is also only a part of the puzzle when it comes to reforming our bad streetlighting system. Improving night vision by reducing or eliminating glare -- that would be a realistic goal. Mitigating adverse health effects to humans and nature -- that would also be a plus. Saving money on electricity while doing so, is the icing on the cake. Park officials will kick off a series of neighborhood meetings Tuesday to discuss plans to replace obsolete amenities at nine parks with modern, urban, sustainable ones as outlined in the Tulsa Parks Master Plan. The first meeting will address the demolition of the dilapidated recreation center and junior pool at Turner Park, 3503 E. Fifth Place, which are to be replaced with a new pavilion, walking trails and security lights. We have yet another opportunity to install the right lights from the start, so will they be the same harsh, glare-prone, inefficient junk, or will we seize the moment to do something to be proud of? 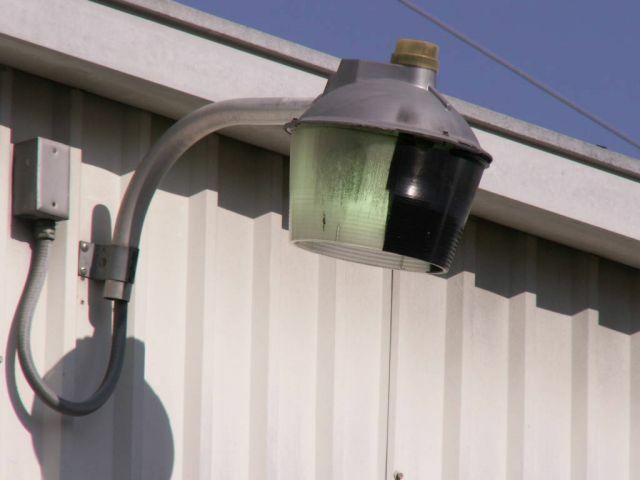 Tulsa's Sustainability Director Brett Fidler confirmed with me that it's still PSO that decides what type of street lights Tulsa installs, and as with the Mayor's "Lights On!" stunt, that decision might have already have been made before any public announcement. BUT... then again... maybe the park department might impose some input and we could have something easier on the eyes like what they did for O'Brien Park's walking trail. Cant blame this pedestrian fatality on lack of streetlights. Probably has more to do with the blinding glare from the used car lots. A woman was hit by a pickup truck as she crossed Memorial at 51st Street around 9:30 p.m. Friday. "The victim, Krista Holloway and her family had been involved in a hit-and-run collision in the southbound lanes, and officers were on the scene," said Officer Leland Ashley, Tulsa Police. Officer A. Finnegan said he was at the intersection in response to the first wreck and heard the second collision. Someone had asked earlier if Tulsa was legally required to use certain streetlights, or even to light at all. "In the absence of a statutory or charter provision to the contrary, it is generally held that a municipality is under no duty to light its streets even though it is given the power to do so, and hence, that its failure to light them is not actionable negligence, and will not render it liable in damages to a traveler who is injured solely by reason thereof. [Fn. omitted.] A duty to light, and the consequent liability for failure to do so, may, however, arise from some peculiar condition rendering lighting necessary in order to make the streets safe for travel." Now having established that, it would still be in the best interest of the city to create a comfortable, inviting atmosphere after dark, by sensibly illuminating public areas. Furthermore, The choice and placement of lighting intended to accomplish that should reflect the most economical and efficient ways of doing so, rather than simply what a utility wants to market. So I've noticed an area of downtown that definitely needs better lighting, but not for safety's sake. The center of the universe is the kind of local attraction that we should be showing off. But at night the nighting makes the bridge barely illuminated. If we want to make the Brady more Tourist (dollar) friendly then this is the kind of thing that nobody driving by should be able to miss. Not just the scupture itself, but the walkway going all the way down to AHHA. So I've noticed an area of downtown that definitely needs better lighting, but not for safety's sake. The center of the universe is the kind of local attraction that we should be showing off. But at night the lighting makes the bridge barely illuminated. If we want to make the Brady more Tourist (dollar) friendly then this is the kind of thing that nobody driving by should be able to miss. Not just the scupture itself, but the walkway going all the way down to AHHA. That could be a fun challenge, but not a task for the uninspired. Taller buildings could support theatrical-style lighting that is very focused and strategic, but we have a habit of using low-bidder work which is just floodlights everywhere. Some ellipsoidal spotlights on the Artificial Cloud and the surrounds would not only add some life, but the addition of glare-less lighting wouldn't hurt pedestrian safety, either. Of course, it would be down-lit, the way natural light is. The bridge could have incandescent-like LEDs recessed into railings (so that you don't see the light source), giving the bridge a soft warm luminescence. We could do so many cool things once we stop letting the people who sell electricity decide how the city should be lit. And with that sentence, I now understand why it is that you are so interested in lighting as a political statement. Well said. I'm so glad this thread is still going on. I signed up to TulsaNow just so I could respond. I got here via Google, searching around to see if anyone had the same pet peeve that I did -- namely the waste of lighting in Tulsa. I've looked for local International Dark-Sky Association chapters, but I don't think Tulsa has one. I got interested in this ever since moving to Lortondale last year. With our open glass across the back of our houses, the ambient light at night makes it seem almost like daylight when there's low cloud cover. Plus, I have a street light shining directly in my bedroom window, through a transom that's difficult to cover. I read through this thread and know a lot of things have been tried, but is there any organization effort? Has this been brought to the attention of the MET or INCOG? What is our next steps? Should we bring it up at a council meeting? In the meantime, is there a solution to the streetlight that's literally been keeping me up at night? I know there's always the pellet gun solution, and in my youth I wouldn't have hesitated to use it. But I'm looking for a solution that wouldn't get me fined and/or imprisoned. Wooden pole or metal? Chain saw or cutting torch. For your immediate problem, I would call AEP tomorrow and have them paint the half of the plastic lens on their fixture that is being a nuisance. They may bring a bucket truck, but I have seen private contractors use a can of grey primer spray paint on a long plastic pole. Next, ask if it's a city-funded streetlight, or a long lost neighbor's leased "security" light, and if they would be willing to remove it or replace it with something that has better house-side shielding. It's one of the ones that are mounted to the utility pole. There's one on every 3rd or 4th pole in our neighborhood. I would, but that would take out power to the neighborhood also. I don't think the neighbors would be happy with me. Woohoo! Called PSO, and someone is supposed to be out in the next 3 days to fix it! Now, what about the more long-term issue? Has anyone brought the poor street light issue to any local organizations? thundercougarfalconbird, this is a fine handle, jayz it is. 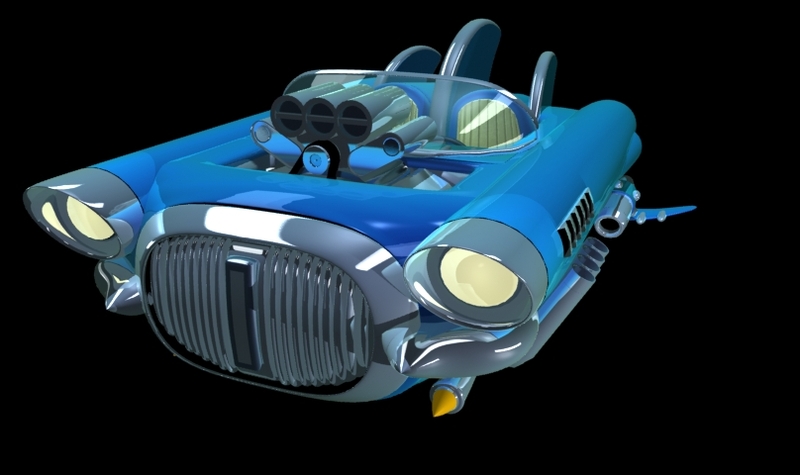 Not to derail the topic, but one word: Thundercougarfalconbird.